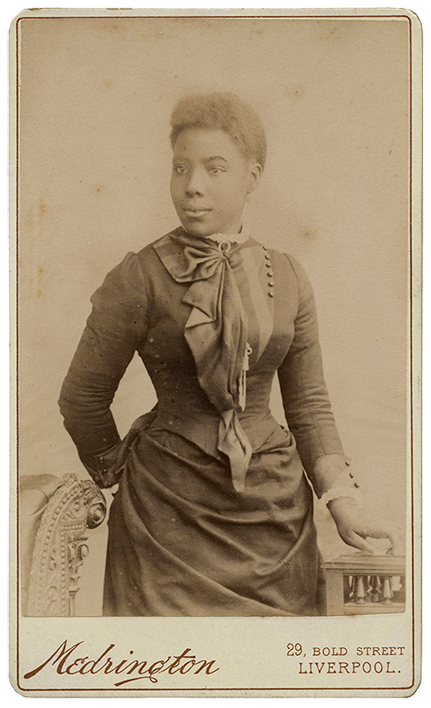 Supported by the Heritage Lottery Fund over three years (2013–16), The Missing Chapter is Autograph ABP’s ongoing archive programme researching photographic portraiture to highlight diverse ‘black presences’ prior to 1948, with a focus on Victorian and Edwardian Britain. The earliest photographs portraying people of African, Caribbean and South Asian descent in Britain are identified through new curatorial research, and by working collaboratively with national archives and collections, both public and private. Our main collaborator on The Missing Chapter is the Hulton Archive, a division of Getty Images. The Missing Chapter programme includes exhibitions and events, formal and informal learning, site-specific image projections, and the publication of a series of educational and scholarly resources in print as well as digital media. The first major public output for The Missing Chapter was the critically acclaimed exhibition Black Chronicles II, which premiered with more than 200 photographs at Rivington Place in 2014 before touring to the Cooper Gallery at Harvard University’s Hutchins Center in Boston, and Spelman College Museum of Fine Art in Atlanta. ‘Black Chronicles: Photographic Portraits 1862 – 1948’ was on view at The National Portrait Gallery in London, until 11 December 2016. The programme’s most recent resources are Black Chronicles: Exhibition in a Box, a pop-up archive photography display and versatile learning tool-kit, and The Missing Chapter Web App, currently available as a beta preview that offers online access to explore a range of portraits in a specially designed digital environment, including a dedicated cross-curricular teaching zone. The associated Black Chronicles book is currently in development and scheduled for publication in 2017.